Black doesn’t have to be dark and gloomy. 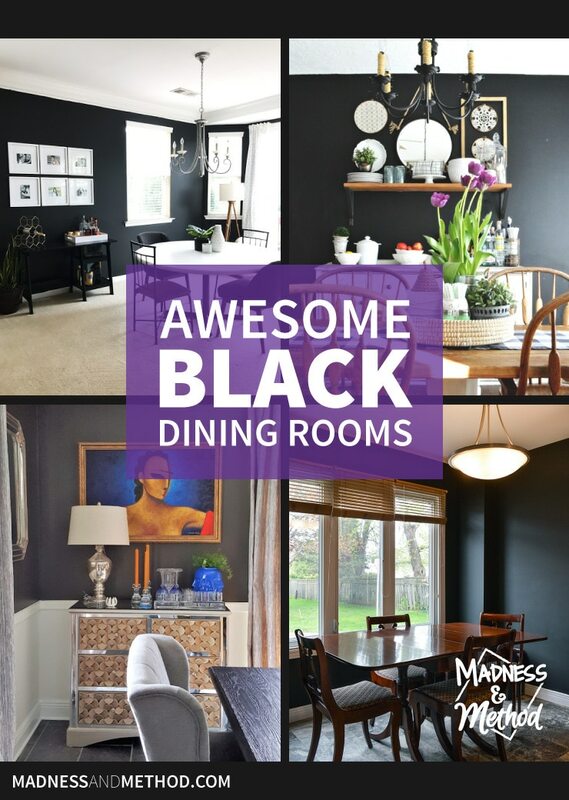 And what better way than to show you a few awesome black dining rooms as examples of this versatile colour! 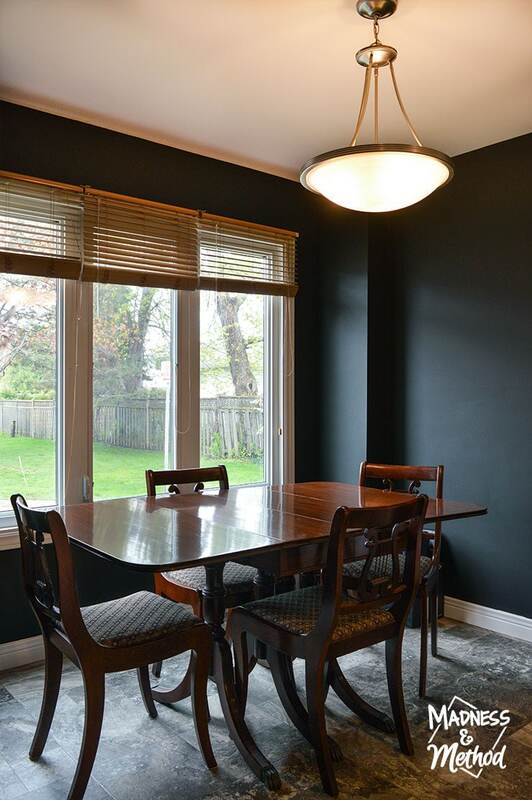 When you hear the words “black dining rooms”, you’re either thinking a) ooh show me more, or b) ugh, black is soooo dark, I would never use it in my home. 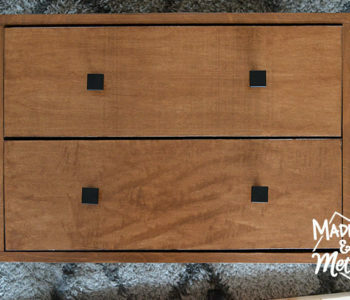 Well, hopefully I can try and convince you dark paint naysayers that black doesn’t have to be dark and gloomy, but that it can be used to add sophistication and glamour to your spaces. 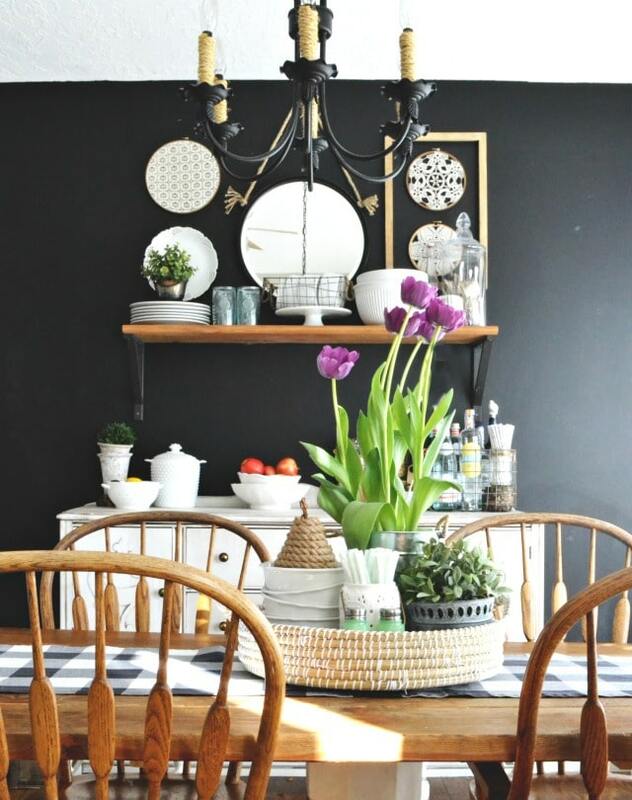 And what better way than to show you a few awesome black dining rooms as examples! I mean, the wrap-around black walls, lovely bright white moulding and brass accessories are amazing right!? 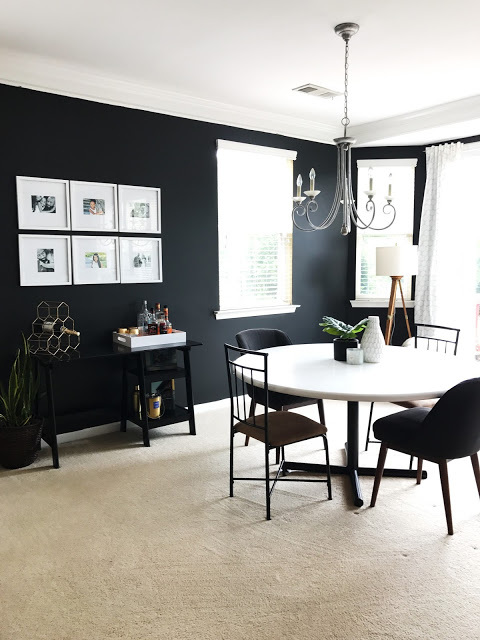 From that day forward I knew that we would have a black dining room in our future/forever house… and in the meantime I would just pin all the fun black dining rooms I saw. But along came my brother’s kitchen renovation, and after he nixed my original idea to do a cool turquoise theme, I convinced him that black was the way to go! 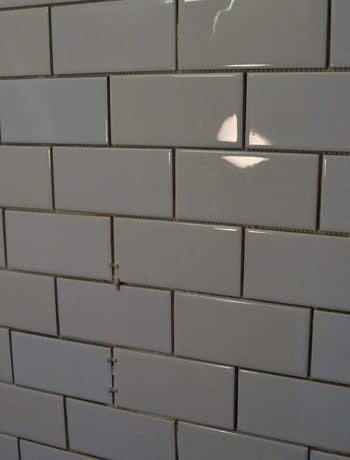 Brother: I’d prefer a lighter colour, keep the kitchen bright. 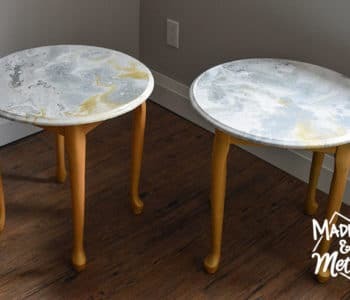 A white to match the cabinets? 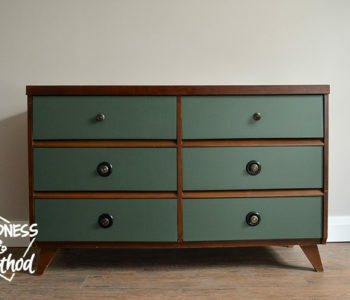 Or perhaps a shade or two darker for slight contrast. Brother: You know, I just looked up some images of white cabinet black walls. I find it really nice and striking. I just wish the countertop was black to go along with it. 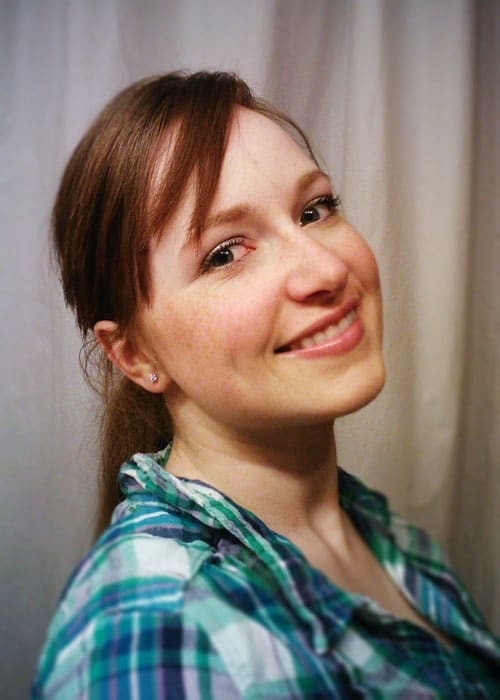 So, maybe you guys are thinking – this girl (aka me) clearly has a problem with listening. Her brother said “white” and she suggested the exact opposite. 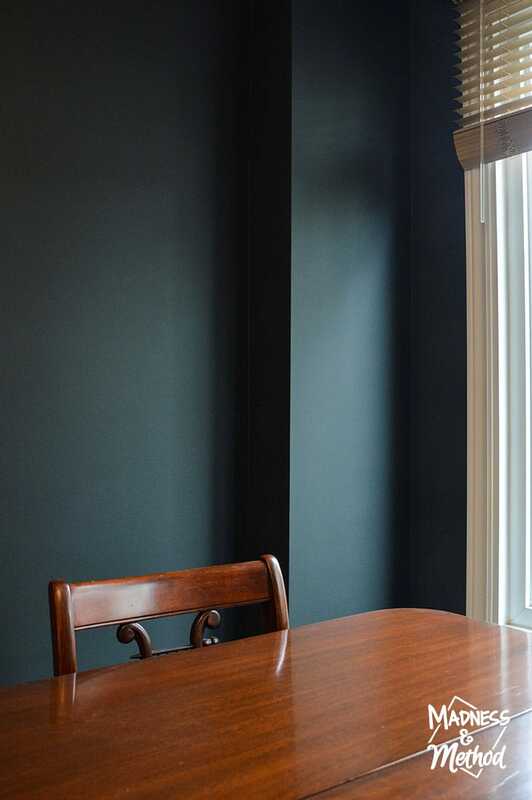 I asked some fellow bloggers if I could share photos of their black dining rooms, so you can see some different examples of this versatile colour. 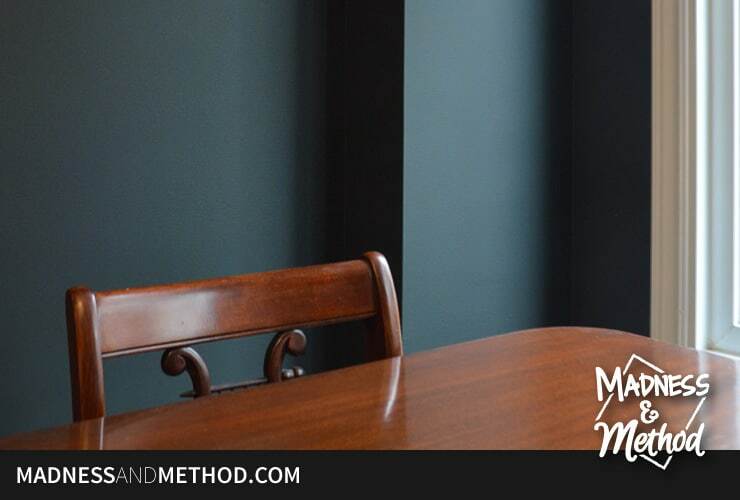 Behind the Big Green Door’s black dining room walls are the perfect backdrop for her minimalist space. 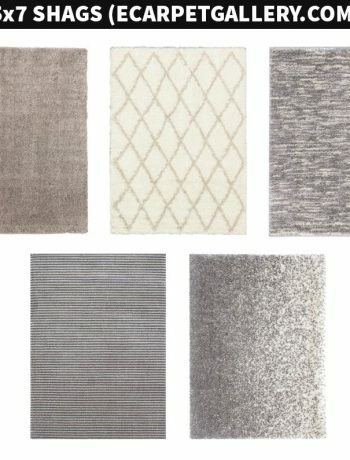 She even shares some great tips on decorating around carpet! 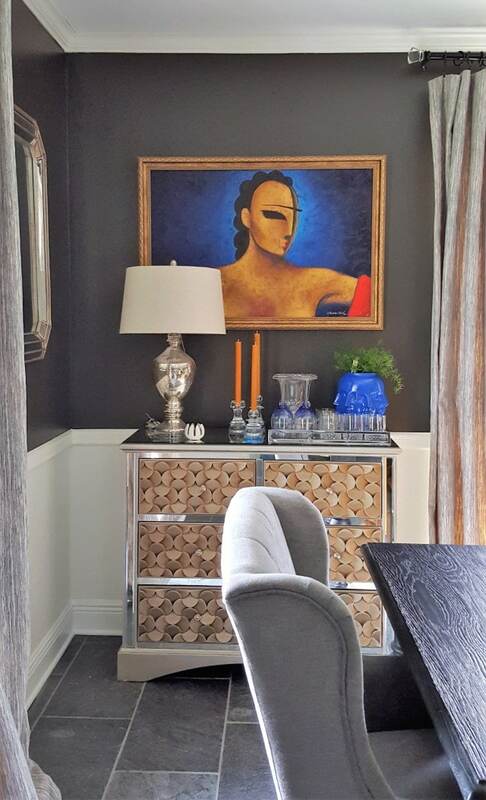 This black dining room from Whitney J. Decor’s was done for a client and really shows off their eclectic art collection. 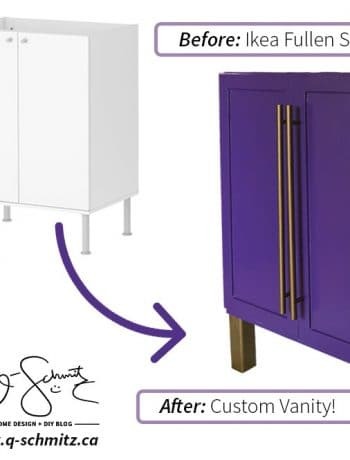 My Fabuless Life shares the evolution of her dining room and explains why the previous (lighter) colours in the room didn’t work out. The dining space doesn’t look the same as the before photo here – but my guess is that it probably doesn’t look like this every day either, ha!